Highlighting the despicable nature of blue privilege in the U.S., a Dallas cop has admitted to going into a home and killing an innocent man and no arrests have been made. 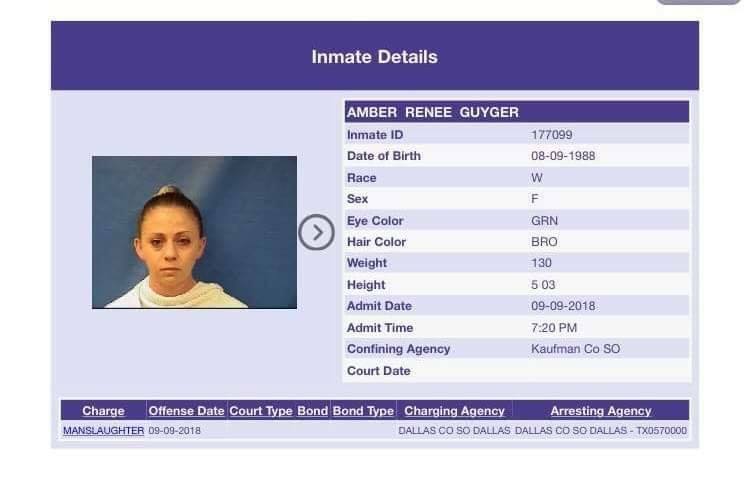 Update: Sunday night, officer Amber Guyger was arrested on charges of manslaughter. Dallas, TX — Highlighting the sheer insane state of law enforcement in America today and how they are shown a different version of the justice system is a tragic story out of Dallas this week in which. An off-duty police officer walked into the wrong home after getting off shift, thought the homeowner was an intruder, and killed him. And, she has not yet been arrested. The victim was 26-year-old Bothan Shem Jean who was most likely startled by someone coming into his home at 10:00 pm when the officer opened his door. While the details surrounding how Jean was killed are unclear, according to police, the officer admitted to killing him. Jean was listed on LinkedIn as a risk assurance experienced associate at PricewaterhouseCoopers. He earned a bachelor’s degree at Harding University in Arkansas. This successful young man had his entire life in front of him and it was stolen in an instant. On Saturday, police chief U. Renee Hall addressed the shooting and made a shocking remark in regards to the cop admitting to killing an innocent man. 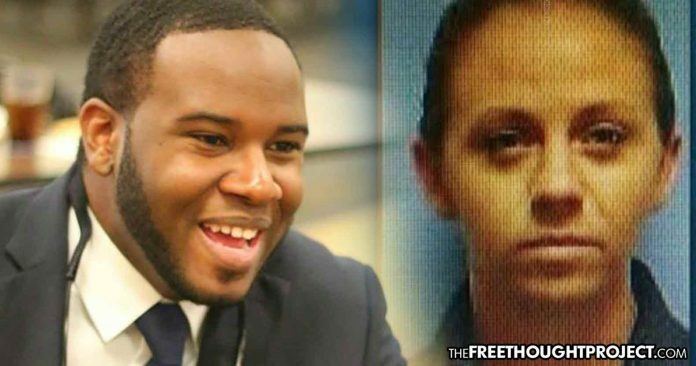 According to the chief, Amber Guyger, the officer who shot and killed 26-year-old Botham Shem Jean, is not being sought for arrest at this time. According to NBC 5, after Texas Rangers were called in to investigate the shooting, they were able to make contact and interview Guyger, who Dallas police identified late Saturday, after which Rangers told police to “hold off” issuing a warrant for her arrest. The Rangers and chief Hall refused to go into detail as to why officer Guyger has yet to be arrested. One of those questions is answered, however, and it is that Guyger shot and killed an innocent man, and admitted to it. NBC news spoke with Jean’s mother in a phone interview from her home in Brooklyn, New York who was stunned to hear of his death. Adding to the ominous nature of this case is the fact that last year, officer Guyger shot someone else. Guyger, 30, who has been with the department for five years, also faced a grand jury in 2017 after shooting a suspect in Dallas. The jury declined to indict. As TFTP reported on Friday, the details of how or why this officer would walk into an apartment that was not hers are unclear. However, what is entirely clear is the fact that a mother and father are now and will be grieving for the rest of their lives because of her actions. And, in a slap to the face of Jean’s parents, the person who admitted to killing their innocent son has yet to be arrested.